Garnier Micellar Cleansing Water Review (2018): Is It Safe To Use? What Is Garnier SkinActive Micellar Cleansing Water Regular? This product is distributed under the Garnier brand, a label that is managed by the L’Oreal Group of Companies, one of the biggest global players in the personal care and cosmetics industry. Garnier is a brand that was originally established in 1904. When L’Oreal acquired it in the 1970s, Garnier became the brand that made general consumers its primary targets. Garnier SkinActive Micellar Cleansing Water, Regular, US $8.99 for 13.5 oz., is a new breed of cleanser that washes off impurities from your skin without the drying and tightening effect that is so common after washing with ordinary cleansers. Garnier SkinActive Micellar Cleansing Water Regular – Does it Really works? What Are The Ingredients In Garnier SkinActive Micellar Cleansing Water, Regular? Does Garnier SkinActive Micellar Cleansing Water Regular Have Any Side-Effects? 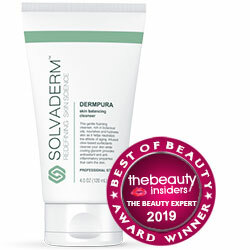 Delivers micellar technology to capture, dissolve and rinse off impurities, including tough, long staying makeup. 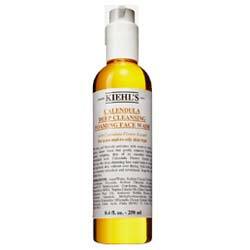 Removes makeup residues in a single step, no need for you to wipe off makeup from your face before you cleanse. Effectively loosens up impurities to make vigorous rubbing unnecessary to get products and other impurities off of your skin. Leaves your skin feeling refreshed and revitalized after every wash. This product works by loosening toughened dirt, products and impurities off of your skin without the need to rub and rinse vigorously. Disodium Cocoamphodiacetate: A powerful emulsifier derived from coconut oil, it allows this product to dissolve both water-based and oil-based impurities that won’t normally dissolve in each other, and is the primary mechanism by which this product cleanses your skin. Poloxamer 184: Helps loosen up the dirt, grime and product residues on your skin so that these can come off and dissolve easily in the micellar solution. Glycerin: It may help skin retain moisture while reducing inflammation. It is also used to moisture on your skin,However sometimes it causes allergic reactions like rash, itching or swelling. Garnier SkinActive Micellar Cleansing Water, Regular may be used in two ways. First, as an eye makeup remover, soak a cotton pad with the product then, swipe the wet cotton across your face. 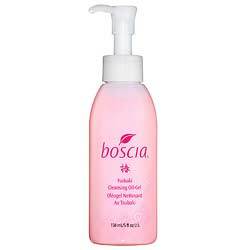 Second, as a cleanser, spread the product over dry, made up face then, use cotton pad to wipe of the dissolved grime and residues. This product will effectively dissolve your tough makeup, although not so much the tough, waterproof kinds. This formula is tough on grime and product residues yet gentle on your skin but may cause rash or itching on skin. You will not experience any feeling of dryness or skin tightening after cleansing with this product which can be a rather common experience with other, common cleansers. This product may not be able to dissolve and cleanse tough varieties of waterproof makeup, at least not with a single cleanse. 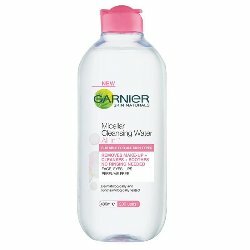 Several Garnier SkinActive Micellar Cleansing Water, Regular reviews have indicated that this product may leave residues on the skin which can make skin irritated and breakout. This product uses Polyaminopropyl Biguanide Fil B162919/3, a preservative that has a lower risk evaluation for hazardous side effects to your health. This formula contains glycerin which cause allergic reactions like skin rash or itching. Skin irritations and allergic reactions as a result of the no rinse mechanism of this formula, your own skill in taking off all residues, and your personal allergy history. Increased risk for reproductive organ toxicity due to EDTA. Garnier SkinActive Micellar Cleansing Water, Regular offers a new way of cleansing and removing product residues that won’t dry, hurt nor, tighten your skin. At this price point, it gives you value for your money. However, if you want to get other benefits out of your cleanser, you should check out how other products also deliver antioxidants, anti-inflammatories, and moisturizers as these cleanse and purify your skin. This product does not offer money back guarantee.